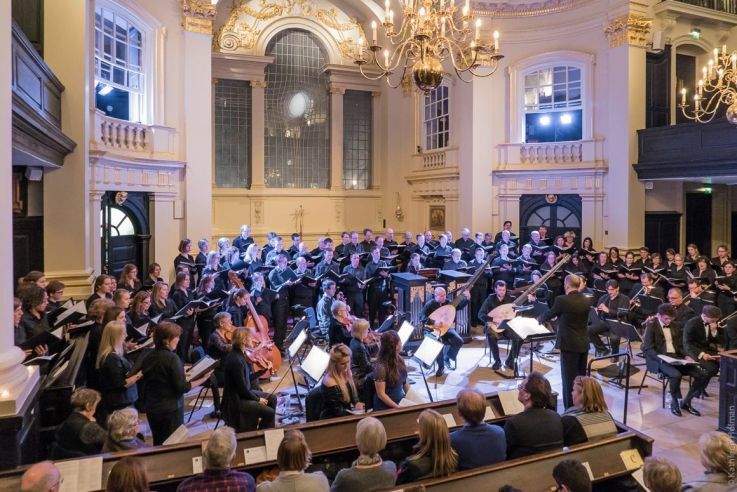 Rousing applause and a standing ovation filled St Clement Dane's following the world premier of BAFTA award-winning composer Jessica Curry's 'Briefly It Enters' by The Rosewood Sinfonia and London Oriana Choir. Commissioned by the critically accaimed composing initiative Five15, the new piece is set as a reflection and pairing to Carl Orff's 'Carmina Burana' which was performed alongside Curry's work. 'Briefly It Enters' is a setting of a poem by American poet and translator Jane Kenyon. Jane published four collections of her poetry and translated twenty poems from the Russian of Anna Akhmatova. She was New Hampshire’s poet laureate when she died from leukaemia in 1995. 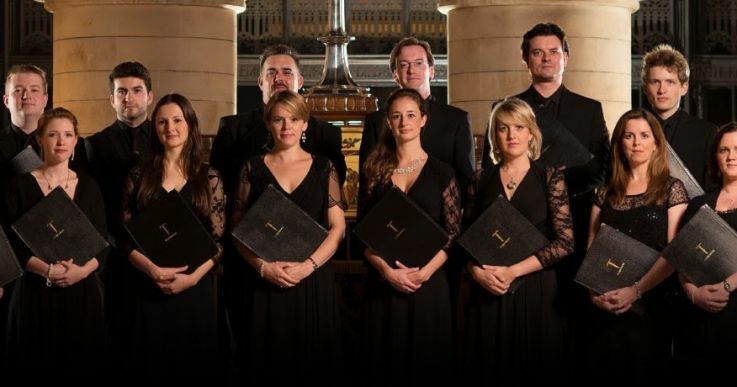 Dominic's critically acclaimed ensemble - Chamber Choir of London are delighted to be making their debut at the prestigious 2019 Aldeburgh Festival on 17th June. 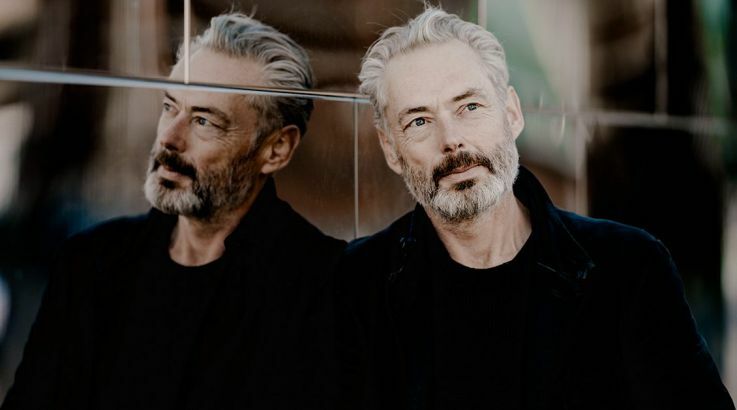 Joining multi award-winning singers Mark Padmore, Roderick Williams, celebrated pianist Roger Vignoles, Trio Isimsiz and Quatuor Diotima. Schubert 1828 brings together these incredible artists for a unique revisit to a poignant moment in the last year of the composer's life. Schubert only once took the financial risk of mounting a concert of his own music, and it was in 1828. 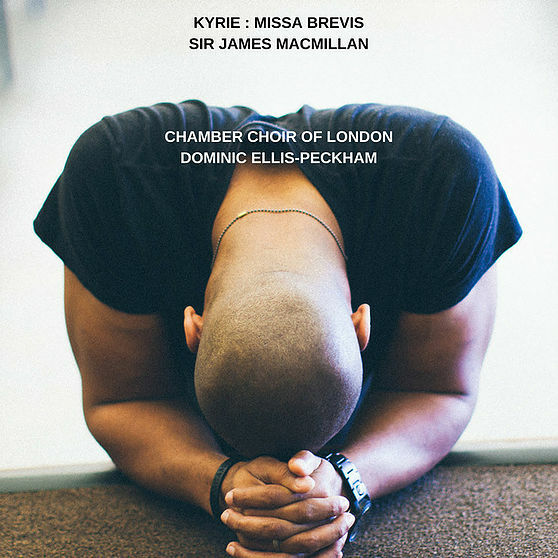 Chamber Choir of London and Dominic have received warm reviews and critical acclaim for their latest single release 'Kyrie' by the award-winning Scottish composer Sir James MacMillan. tTaken from his early Missa Brevis. MacMillan wrote the mass when he was 17, and only released it 30 years later. The 'Kyrie' seems clearly influenced by the Palestrina the composer was singing at the time, along with a hint of the opening of RVW's Mass. Robert Hugill reviews the single: "The choir bringings a typical combination of clarity and strength to the performance, with a fine sense of line and a lovely clear demonstration of the purity of the polyphony". Download or stream by clicking here. 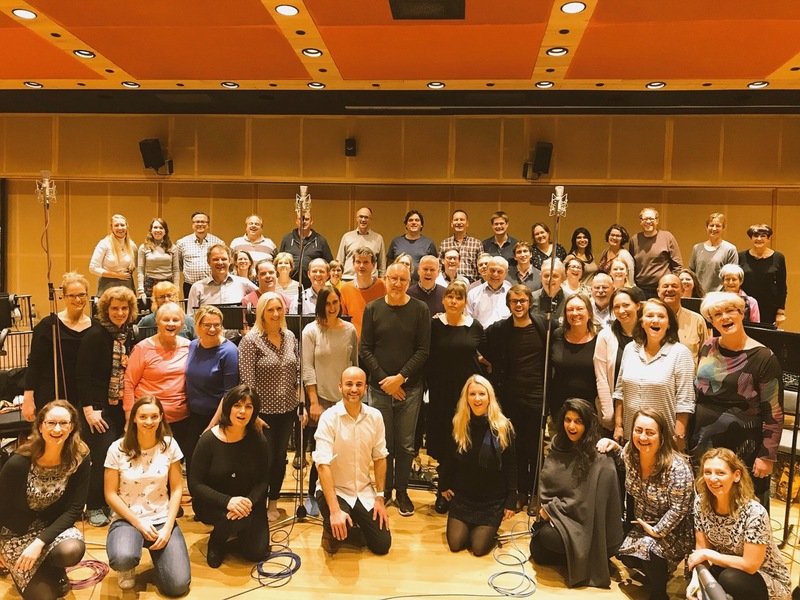 Thanks to a personal request from composer Rachel Fuller and her husband Pete Townsend, The Beatles legend Sir Paul McCartney has graciously agreed for his original recording and vocals to be used in conjunction with Chamber Choir of London and The Royal Philharmonic Orchestra. 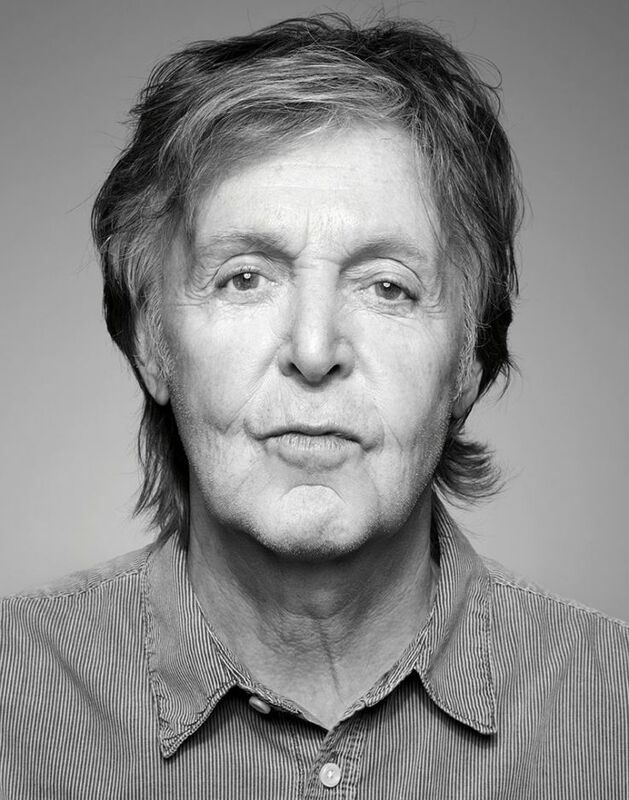 The seminal song 'Blackbird' is to be re-recorded and specially arranged by Martin Batchelar for the orchestra and choir, to include the original vocals from McCartney as part of the much-anticipated new album 'Animal Requiem', to be released on Whistle Records in 2019. 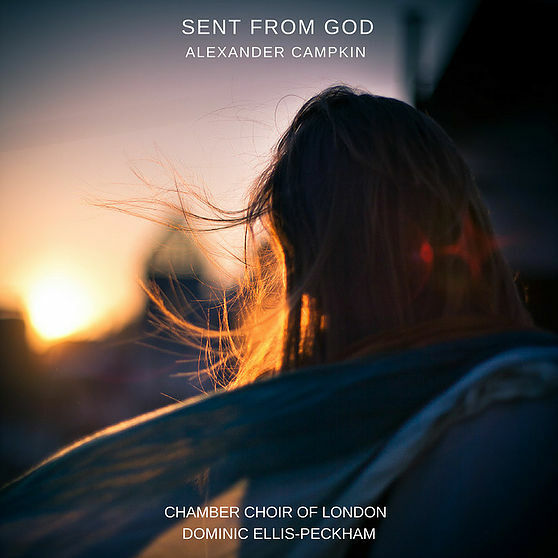 Fresh from his BBC Proms’ debut, Alexander Campkin’s new release ‘Sent From God’ is the second single from hotly-tipped new vocal ensemble - Chamber Choir of London and Artistic Director, Dominic Ellis-Peckham. The choir brings together the finest consort singers, performing a broad variety of repertoire. This ground-breaking ensemble is committed to world-class performances, recordings and collaborations with some of the industry’s leading musicians, festivals and innovators. Future engagements include planned performances in Malta, Berlin, a recital and oratorio series in Hong Kong and Shanghai, and a recording of Rachel Fuller’s new ‘Requiem' with The Royal Philharmonic Orchestra. The choir’s debut single Victoria’s ‘Vidi Speciosam’ was released in June to critical acclaim, and later this season they head to the studio for their first composer collaboration, recording Alexander Campkin's definitive choral collection 'True Light’ due for release in 2019. 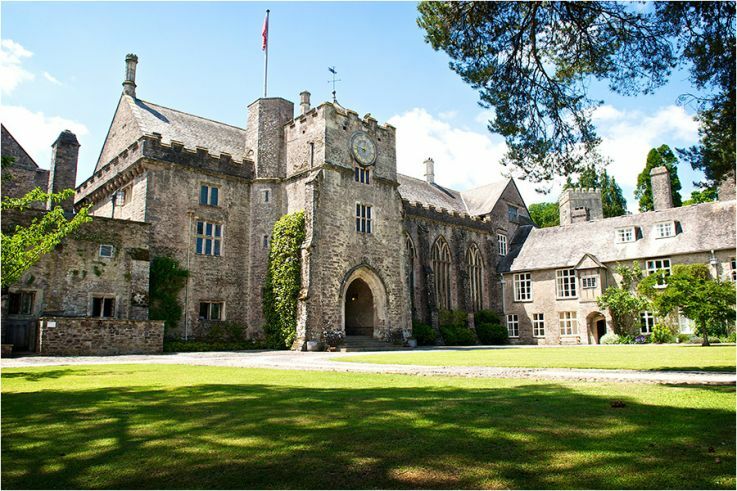 Dominic joins a host of celebrated artists as part of the 2018 Dartington International Festival and Summer School. 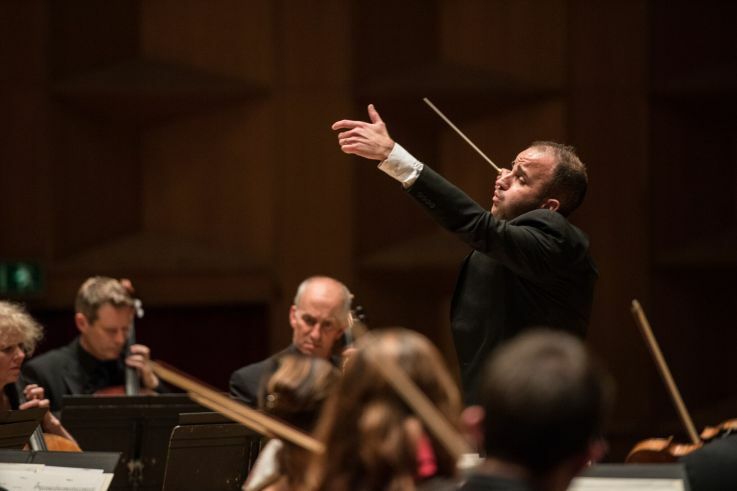 Performing Liszt's Piano Concerto No.1, Beethoven Symphony No.4 and collaborating on this year's operatic project with Mozart's Le Nozze di Figaro, Dominic joined the revered Dartington Festival Orchestra and a host of fellow conductors for this unique two weeks of music making in late August. Jessica Curry becomes choir's new composer-in-residence. 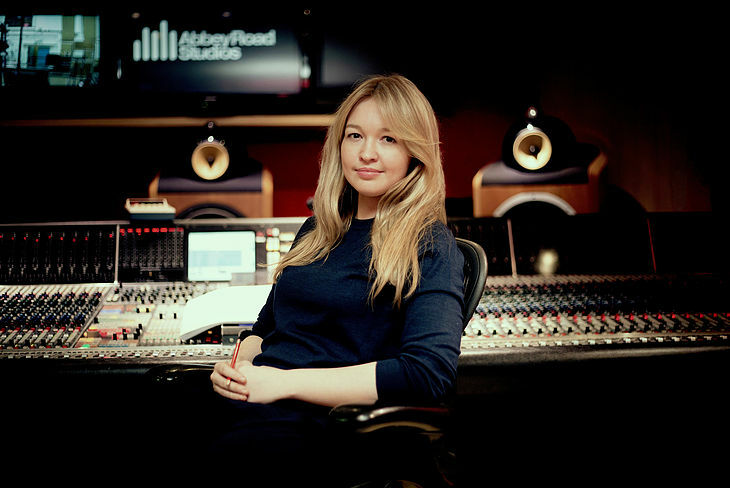 The London Oriana Choir and Music Director Dominic Ellis-Peckham haave appointed British composer Jessica Curry composer-in-residence for its five15 project, an initiative that promotes women composers. 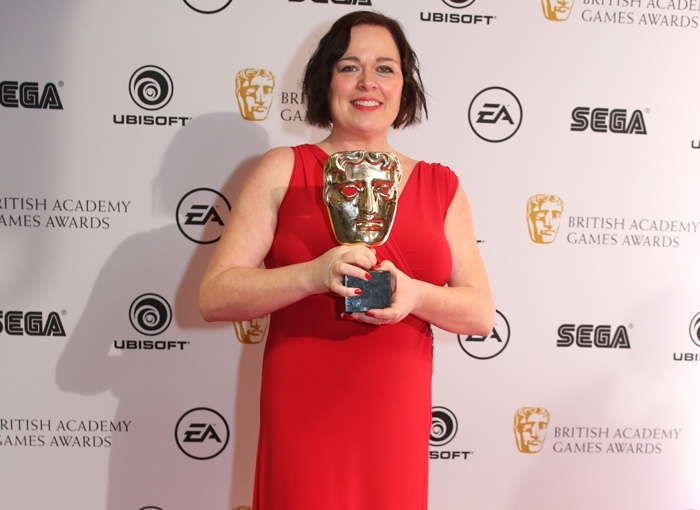 Curry is the co-founder of games company The Chinese Room, and has won a BAFTA for the PS4 title Everybody’s Gone to the Rapture. She has collaborated with Carol Ann Duffy, setting Duffy’s poems to music for a performance in Durham Cathedral. For five15, Curry will write three pieces: a Christmas composition, an orchestral work and a final a cappella piece which will be premiered at a concert at Cutty Sark in 2019. Launched in April 2016, five15 has so far commissioned works by Cheryl Frances-Hoad and Rebecca Dale. Find out more here. The hotly anticipated debut single from Chamber Choir of London has been released worldwide to critical acclaim from reviewers, composers and industry leaders. 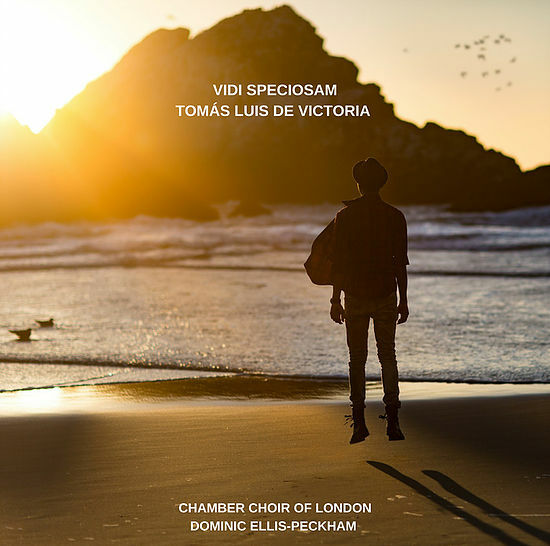 'Vidi Speciosam' by the iconic Spanish composer Tomás Luis de Victoria is the first of a series of single releases from the British vocal ensemble under it's Artistic Director and Chief Conductor - Dominic Ellis-Peckham. This summer, Dominic is dleighted to have been invited to join Investec Opera Holland Park as music staff for Verdi's tragic masterpiece 'La Traviata'. Dominic will be working alongside Conductor - Matthew Kofi Waldren, Director - Rodula Gaitanou and International Opera Awards Best Designer nominee Cordelia Chisholm for this new production with resident orchestra - The City of London Sinfonia. For more information click here. This month Dominic returns to BBC Radio 3 to conduct a live performance of music by Monteverdi, Vaughan-Williams and Hilary Campbell. Ahead of The National Youth Chamber Choir's debut at Cadogan Hall, Dominic chats with Sean Rafferty live in the studio as part of the Radio 3's 'In Tune' programme and offers a sample of music taken from the ensemble's forthcoming headline performance entitled 'Twenty-Something'. You can listen again to the programme and the performances by clicking here, and book tickets for the Cadogan Hall performance as part of 'Choral at Cadogan' here. This February, Dominic will be a special guest for Grammy award-winning choral ensemble 'Tenebrae'. Working with their Associate Artists, Dominic will be delivering conducting masterclasses and mentoring these specially chosen singers as part of their tenure with Nigel Short and his choir. 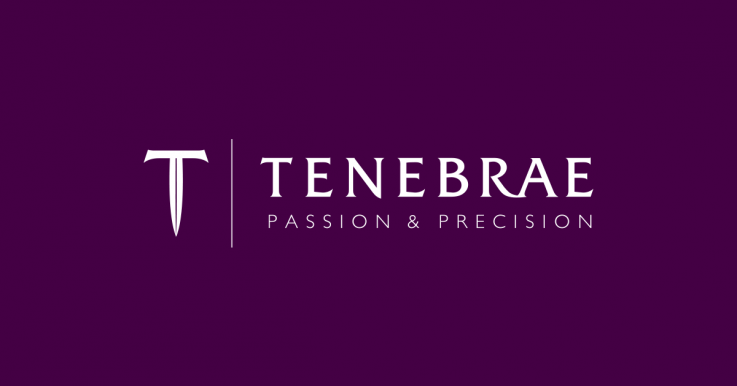 The position of Associate Artist is a year-long fellowship, providing selected singers with training and mentoring from Tenebrae’s Artistic Director, and experience through active engagement with Tenebrae’s national and international performance and recording schedule throughout the concert season. Associates will also receive training in music pedagogy, and go on to put this into practice through a series of education and community partnerships. Following on from the international success and collaboration with The Royal Philharmonic Orchestra, Alfie Boe and Robert Ziegler in the seminal Deutsche Gramaphone recording and sell out performance of 'Classic Quadrophenia', Dominic has reunited with composer Rachel Fuller and, The Royal Philharmonic Orchestra and London Oriana Choir to record a new album of orginal music for the new theatre project 'The Seeker'. Inspired by the iconic book, Siddhartha by Herman Hesse, 'The Seeker' is a tale of human passion and spiritual awakening. Set between a vivid dual landscape of ancient India and modern New York, THE SEEKER is brought to the theatre by an outstanding creative team from opera, theatre and rock music. Touring in 2018, 'The Seeker' will seduce audiences with its sweeping melodic lines, its rich orchestration and timeless themes of love, loss and a deep search for meaning in a troubled world. Listen to Dominic's brand new double-single of Toby Young's 'What Child is This?' 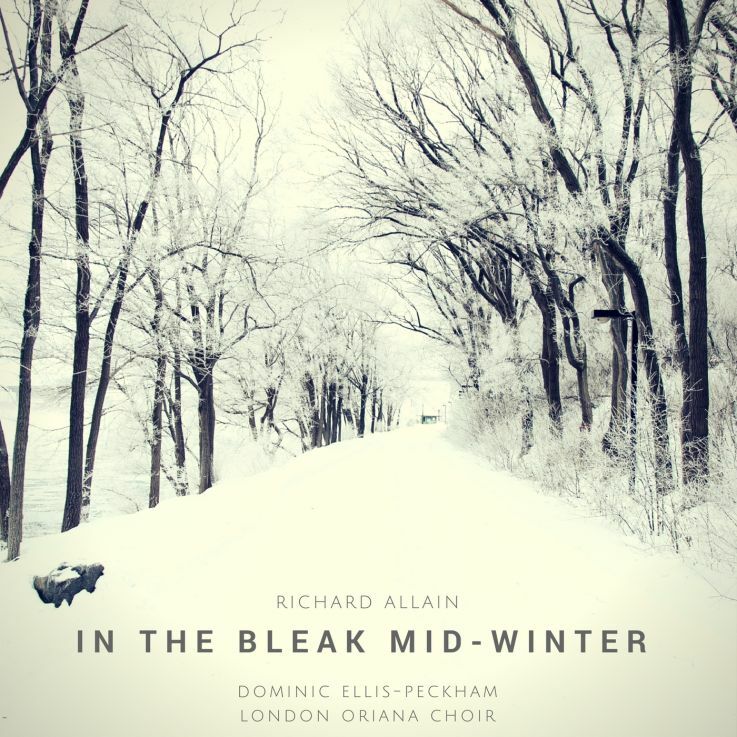 and 'The Night' with The National Youth Choir of Great Britain produced by the father of choral Christmas - John Rutter and there are further Christmas releases from London Oriana Choir and their recording Richard Allain's 'In The Bleak Mid-Winter, and special recording of the lesser known Reginal Jacques version of 'Away In A Manger'. Click the images to listen and Happy Choral Christmas from dominicellispeckham.com ! 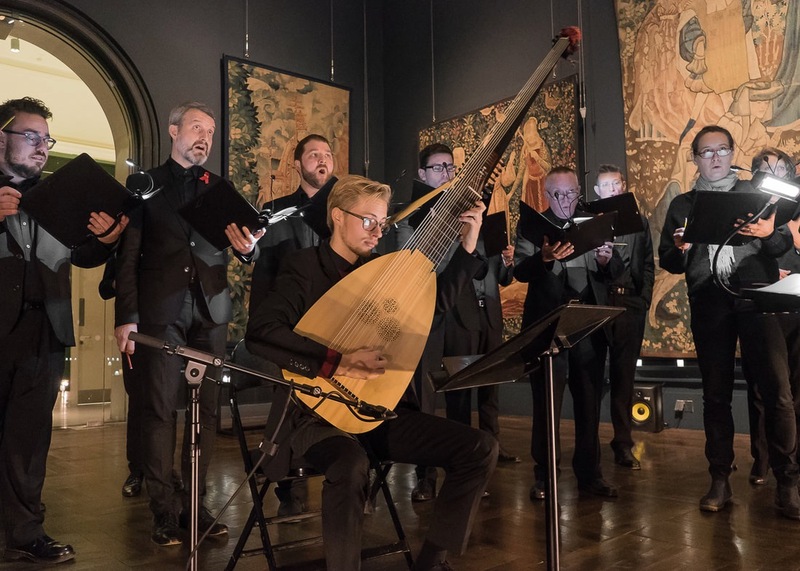 As part of the The V&A's critically acclaimed new exhibition 'Opera : Passion, Power and Politics', Dominic, The Fourth Choir and special guest Jonatan Bought performed a special concert from The Tapestry Rooms of the V&A this December. 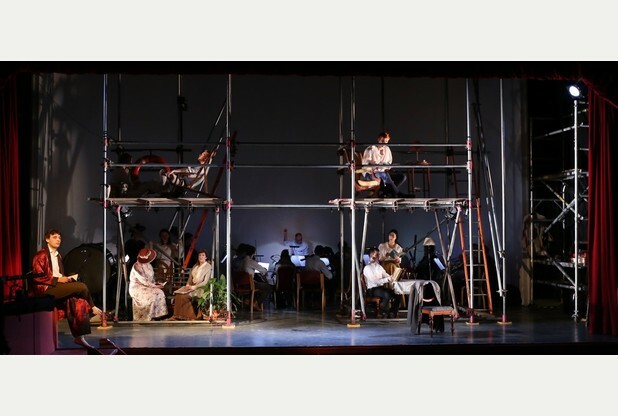 In conjunction ith The Royal Opera House, this performance was part of a series of performances from artists including soloists from The National Opera Studio, English National Opera and The Monteverdi Choir. The performance was broadcast live to audiences across the world on Facebook Live and received rapturious responses from viewers in Australia, Brazil, Japan, Germany, U.S.A and Portugal to name but a few. Dominic who hosted the broadcast and conducted the performance was delighted with the response: "to perform in the same series as such illustrious artists was a real honour. 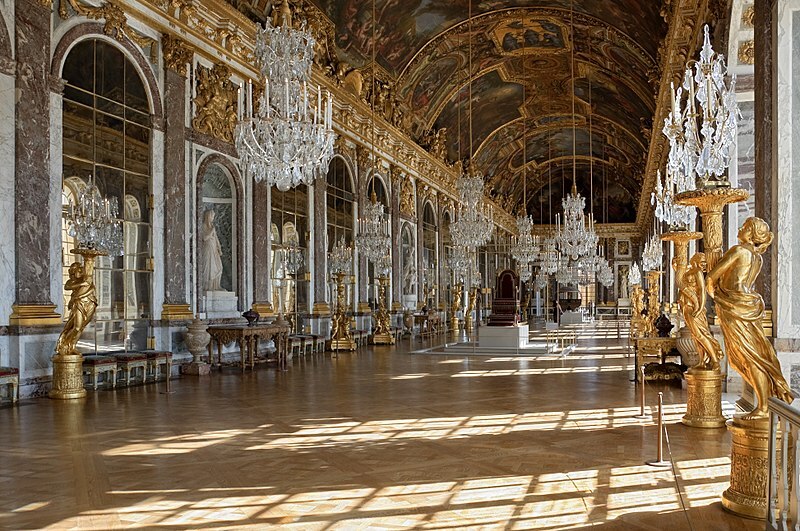 This exhibition is a remarkable journey through the history of opera and its impact on the wider musical world - I can highly recommend it, and I'm delighted we were able to bring choral music from the featured composers to the stunning Tapestry Room." 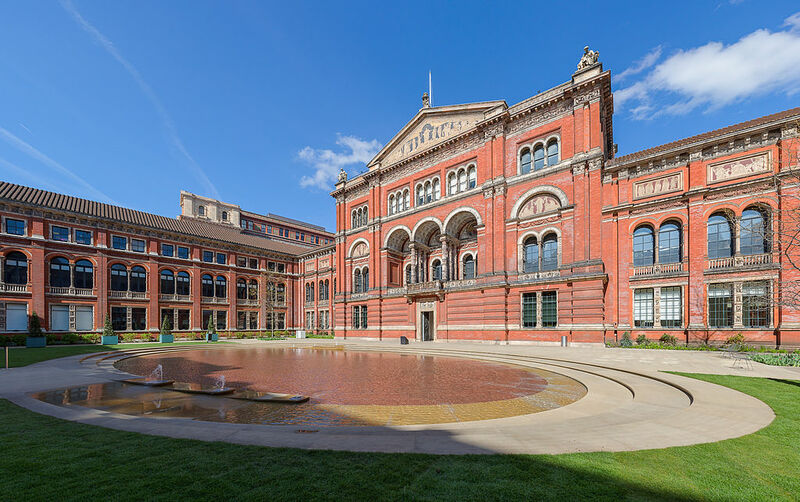 Following the launch of their brand new, state-of-the-art exhibition space, London's Victoria & Albert Museum have invited Dominic and The Fourth Choir to perform a special concert on Friday 1st December as part of 'Opera: Passion, Power and Politics' in collaboration with The Royal Opera House. The Times as already referred to this as a "spectacular new show" which "has something for opera snobs, opera virgins and all shades between." 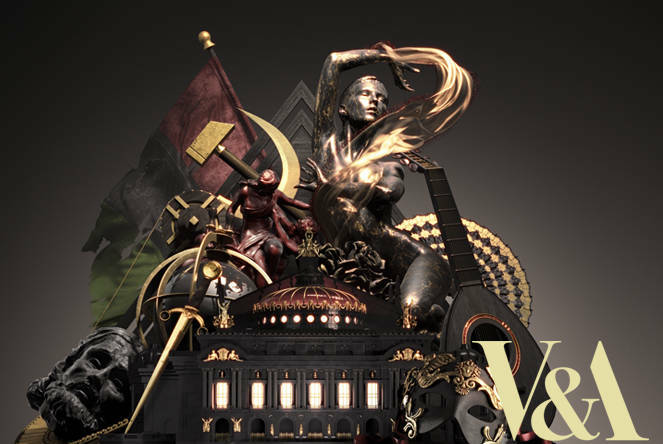 Told through the lens of seven premieres in seven European cities, this immersive exhibition takes you on a journey through nearly 400 years, culminating in the international explosion of opera in the 20th and 21st centuries. Dominic and his choir will be performing music refecting this same chronological journey, reflecting on the many inspirational and pivotal moments that affected all musical output. 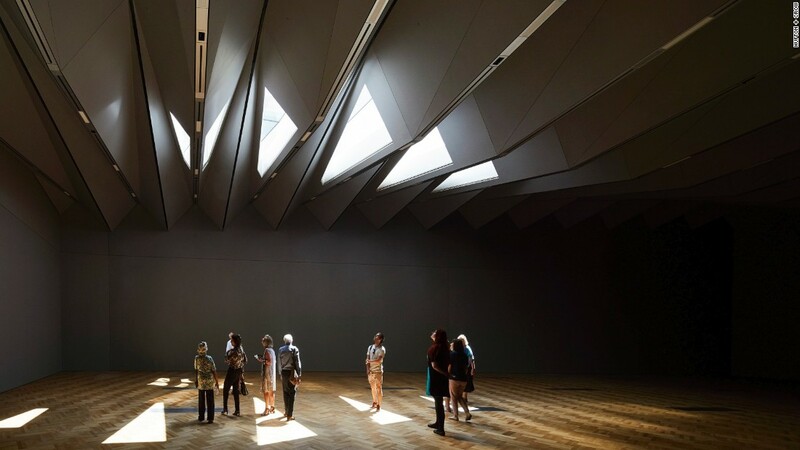 Speaking at the launch of the exibition, Dominic spoke of his excitement at being involved: "This truly is a remarkable new venture for the V&A , and I'm honoured to be conducting such a special performance, marking the first exibition in the stunning new Sainsbury Gallery". For more information, or to book tickets, click here. Dominic and The London Oriana Choir is delighted to announce that young British composer Rebecca Dale has been chosen as the second composer-in-residence for our ground-breaking five15 project to champion the musical talent of women composers. 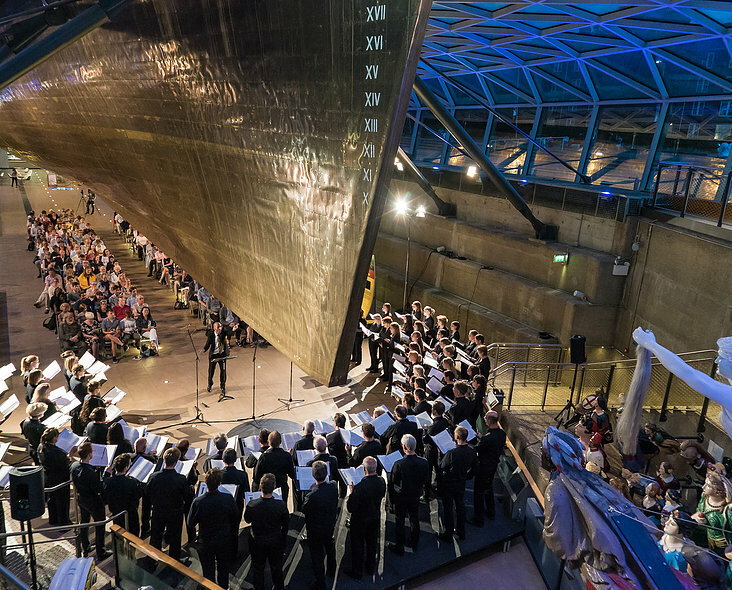 Rebecca’s year kicked off in style in July 2017 with the première of her first work for the choir, the a cappella sound explosion entitled 'Radiate', at a special concert in The Sammy Ofer Gallery of the Cutty Sark in Greenwich, where the Dominic and London Oriana Choir is choir-in-residence for the Royal Museums Greenwich. Her second commission with be premiered on 3rd November at Holy Trinity, Sloane Square and is written especially for Remembrance to be performed by Dominic, one of the world's leading chamber orchestra - The London Mozart Players and a guest solo cellist. 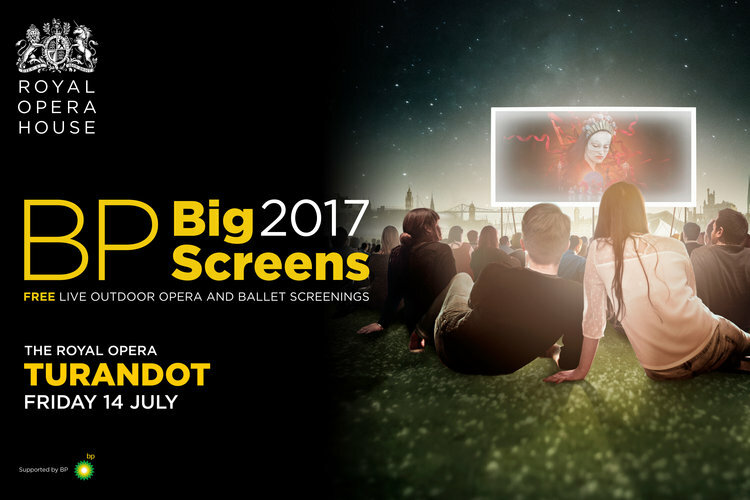 The Royal Opera House has once again invited Dominic to present the live broadcasts of their BP Big Screen opera performances, live to millions of viewers across the UK and around the world. This year Dominic presents alongside co-presenter Gok Wan and he leads the viewers live in London's Trafalgar Square and across the globe online in a singing excerpts from Pucinni's 'Turandot' and Verdi's masterpiece - 'La 'Traviata'. Dominic conducts for the Royals in Rome! 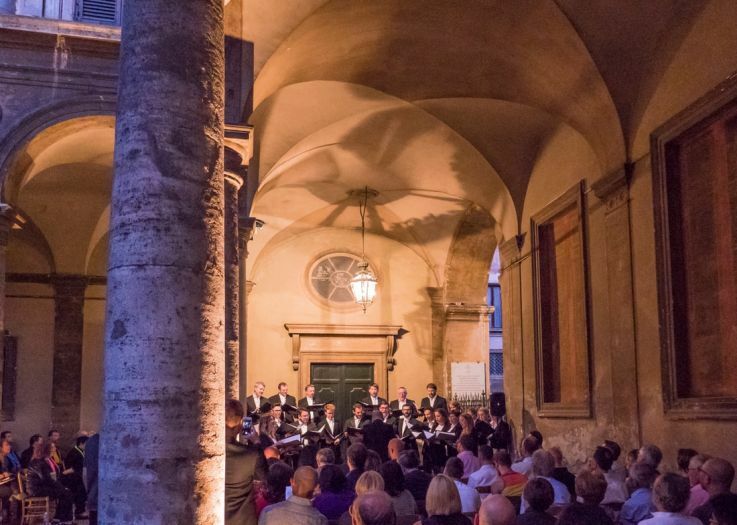 By special invitation of Prince Jonathan Doria Pamphilj, Dominic and his critically accliamed ensemble - The Fourth Choir were invited to perform a special recital in the stunning grounds of Palazzo Doria Pamphilj di Roma. 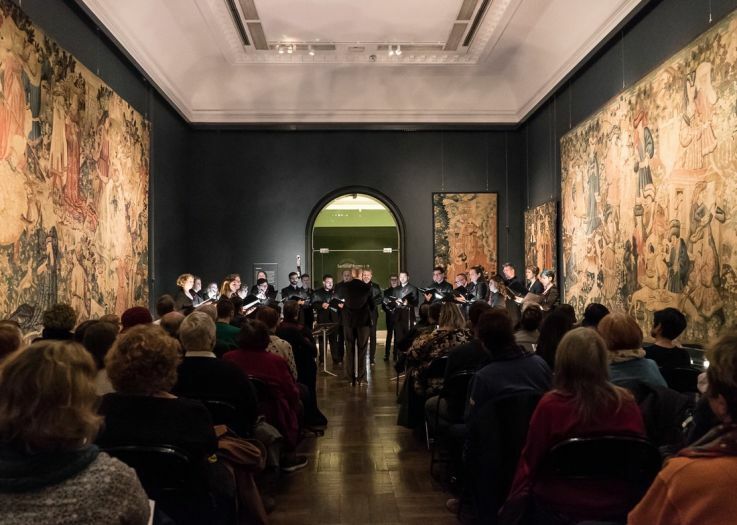 With music inspired by the sonnets of Shakespeare and Michelangelo in the baroque splendour of the palace grounds, the performance celebrated the 10th Anniversary of The Roma Rainbow Choir. Dominic thanked his fellow performers and royal host following the event: "It was an honour and privilege to sing in such a phenomenal setting alongside such wonderful musical colleagues. I am so grateful to Prince Jonathan and the musical family of Rome for making me feel so welcome". Roaring applause and great reviews met Dominic's recent performance at London's iconic St-Martin-in-the-Fields as he conducted The Meridian Sinfonia, London Oriana Choir and a host of soloists from The Sixteen's Genesis programme in a sell-out performance of Monteverdi's 'Vespro della beata Virgine 1610' as part of a year long celebration of Monteverdi himself. The concert opened with the world premier of teh thired and final commission from Composer in Residence - Cheryl Frances-Hoad. 'The Food of Love' (written as part of the developing anthology for the groundbreaking Five15 women composers initiative) with texts from Christina Rossetti and Jonathan Swift was described by Fiona Maddocks in The Guardian as 'joyful and rampant' and was a timed to coincide with International Women's Day. This March, Dominic returns once again as guest Chorus Master for The Royal Philharmonic Orchestra alongside London Oriana Choir for a very special two-night run of 'Kingdom Hearts'. The phenomenal success of this global franchise composed by Yoko Shimomura shows no sign of relenting, and the music from the Disney game is currently in the middle of a world tour, taking in Shanghai, Tokyo, Paris, Los Angeles and New York. For two nights the tour comes to London's Central Hall, Westminster and tickets are available here. Dominic was delighted to be invited by Andrew Earis and St Martin-in-the-Fields to deliver the first masterclass for the innaugural year of the St Martin's Voices Fellowship Scheme. Launched in February 2017, the scheme provide eight outstanding singers at the fisrt stage in their professional careers with the opportunity to enjoy an intensive period of training with leading choral directors and coaches. Futher plans this year include a tour to Minneapolis and Washington DC in March 2017 and various concert performances with leading ensembles including The Southbank Sinfonia and The Academy of St Martin-in-the-Fields. "The scheme is fantastic" said Dominic following his visit "I have never heard such exciting young professionals who remain techinically healthy and dedicated to refining their consort and ensemble skills with such vigour. The future is very bright for this wonderful scheme and I applaud Andrew Earis and SMITF!" 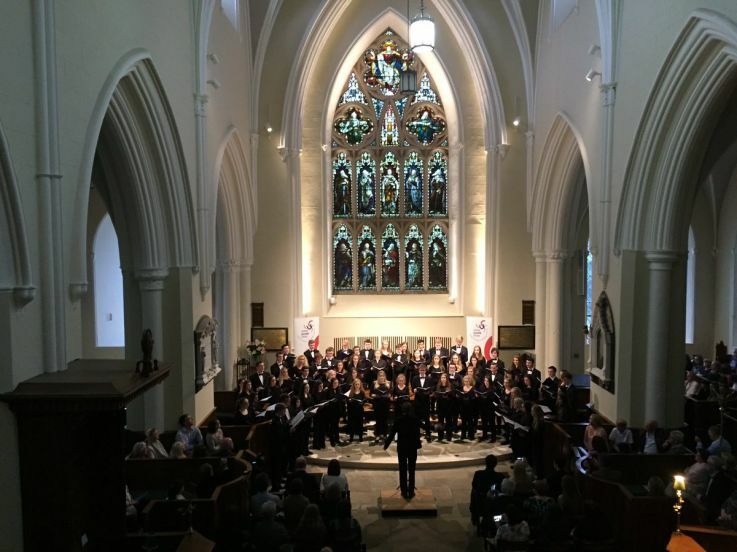 As part of brand new composer in residence platfrom pioneered by Ulster Youth Choir, Artistic Director - Dominic Peckham conducted the world premier of Stephen Coyle's 'Darkly Bright', a Shakespeare sonnet setting in Down Cathedral, Downpatrick in late July. The comission was funded by The Arts Council of Northern Ireland and supported by Queen's University, Belfast. Speaking at the premier, Dominic spoke of his excitement for this new direction for Ulster Youth Choir: "I am incredibly proud of our comitment to appoint a new composer in residence for Ulster Youth Choir and am very excited to be supporting emerging Northern Irish composers in the years ahead thus creating a choral legacy under the guise of UYC, Northern Ireland's national youth choir. Stephen's piece is truly remarkable and it has been wonderful collaboratingwith him and emesing oursleves in his style and characteristics this summer." 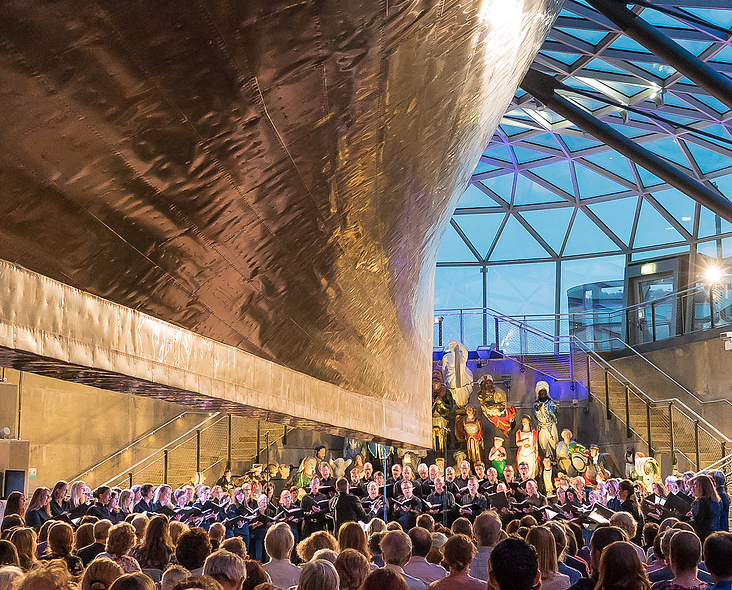 On July 6th, Dominic was joined in the spectacular setting of The Cutty Sark, Greenwich by a host of composers, music professionals and ciritcs to celebrate the launch of Five15, the groundbreaking new initiative to support and highlight the work of women composers. "So True a Fool Is Love" is a setting of Shakespeare's Sonnet 67 - a meditation on the slavery of love which subtely charts the internal dailogue of the lover about his condition of helplessness. The concert featured works exclusively by women composers, including Cecilia McDowall, Judith Weir, Eleanr Daley, Hildegard von Bingen, Cherly Lynn Helm, Dobrinka Tabakova, Charlotte Bray, Kerry Andrew, Rebecca Dale, Ruth Watson Henderson, Gwyneth Walker and Elizabeth Atkinson with five of the composers attending the conert in person. As part of the project (which includes an extensive comission programme, workshops for aspiring women composers, a competition, recordings and a festival), Dominic and his choir will be releasing a new video track from the concert each month. Watch the first release of Cecilia McDowall's 'O Oriens' here and view a gallery of images from this special evening here. For more information about Five15, click here. This summer, the UK said farewell (for now) to one of it's most iconic and cherished concert venues - The Fairfield Halls In Croydon. Dominic and The London Mozart Players commemorated this and celebrated Her Majesty The Queen's 90th Birthday to a very special audience, including HRH Prince Edward and HRH The Countess of Wessex. The concert brought together London Mozart Players, The Countess of Wessex's String Orchestra, pianist and Young Musician of the Year winner Bocheng Wang and choirs from across the region for a rousing final concert, including Vaughan Williams' 'Fantasia on a theme by Thomas Tallis', Mozart's ‘Allegro’ from Piano Concerto No. 20 in D minor, Haydn's Symphony No. 45 ‘Farewell’ and the world premier of Raxanna Panufnik's 'Fairfield Fanfare'. Click here to watch an exclusive interview with Dominic about the project. London Oriana Choir and Dominic Peckham have announced the launch of a ground-breaking new musical venture championing the musical talent of women composers. Dominic and The London Oriana Choir will be returning to The Royal Albert Hall, London this summer for an electrifying collaboration with The Royal Philharmonic Orchestra and Robert Zeigler. This very special performance of Holst's 'The Planets' (chorus mastered by Peckham) will also include John Adam's masterpiece 'Short Ride in a Fast Machine'. "I am delighted to be invited to work the wonderful RPO and Mr Ziegler once again and hope very much to continue our performing realtionship in such a wonderufl venue such as The Royal Albert Hall." - Dominic at the launch of the project. The last collaboration between Peckham, Ziegler, the RPO and LOC was in 2015 as pasrt of the critically acclaimed 'Classic Quadrophenia' masterminded by Pete Townsend, Rachel Fuller and with performances from Alfie Boe and Billy Idol. Tickets for 'The Planets' are available here. As part of his onging work with London Mozart Players, Dominic will be collaborating on a very special project this April. Stephen Oliver's completion of Mozart's unfinished opera 'The Goose of Cairo' (L'oca del Cairo) will enjoy it's British prmeir on 14th April at St John's Smith Square, led by conductor David Parry, the LMP and special octet from The London Oriana Choir chorus mastered by Dominic. The LMP be joined by an outstanding cast of established and rising stars of the operatic stage, including Fluer Wyn, Diana Montague and Robert Murray. This April Dominic joins forces with all 8 choirs within The National Youth Choirs of Great Britain, his fellow Directors and allumni for a very special performance at London's Royal Albert Hall. 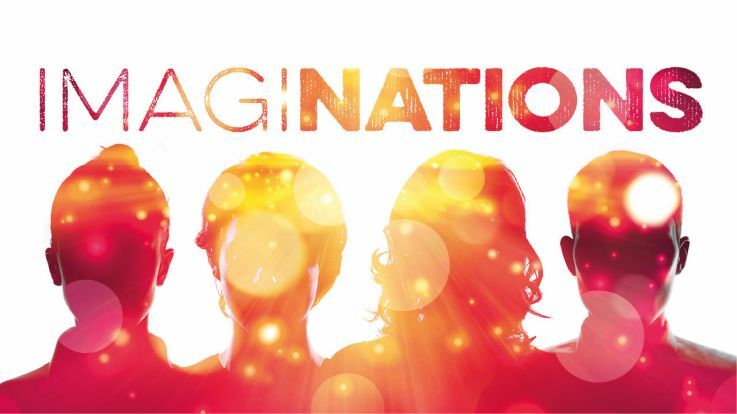 'ImmagiNATIONS' is a celebration of music from the British Isles and features world premiers from Kerry Andrew, James Rose and Vikki Stone and very special collaborations with award-winning soloists, guest ensemble SAMYO and guest conductor John Rutter. Along with preparing and chorus mastering a special alumni choir for John Rutter, Dominic will take to the stage to conduct The National Youth Chamber Choir as well as the boys' voices from aross the entire organisation. "This is going to be such an amazing gig, full of the very best of British music in perhaps our most iconic venue" said Dominic in conversation with BBC Radio 3 in January. "The NYCGB team have worked so hard to bring this together, and I just can't wait to be part of the fun!" 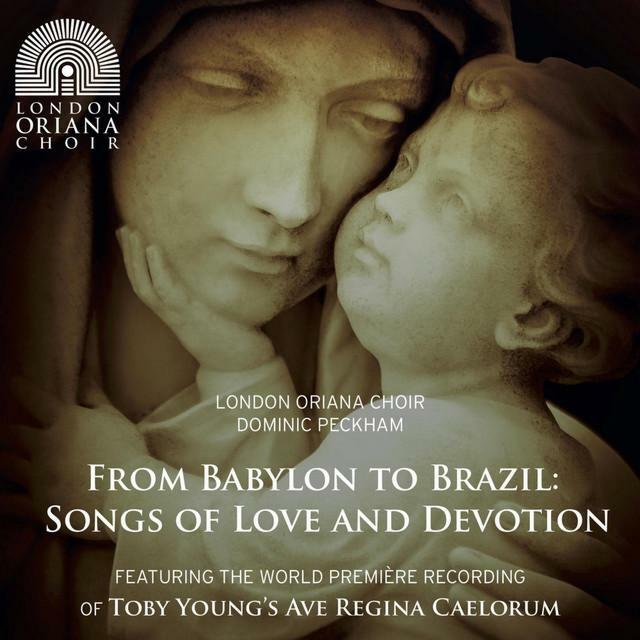 Dominic is delighted to announce the release of his new album with London Oriana Choir "From Babylon to Brazil : Songs of Love and Devotion". 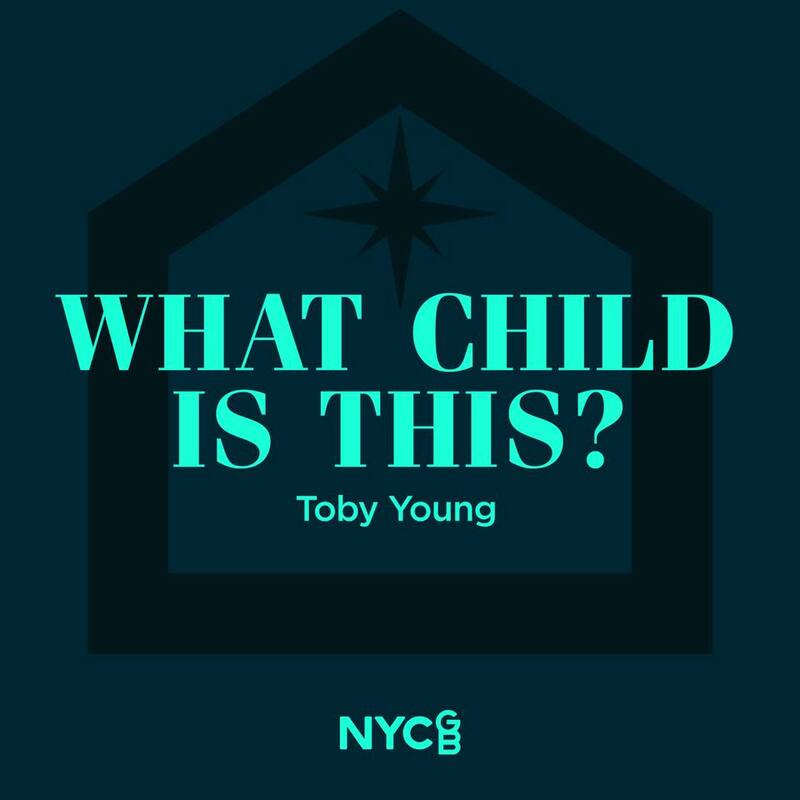 Recorded earlier this year and produced and engineered by Sonus Audio and Sophie Grimmer, this new disc from London's most celebrated choir features the debut recording of Toby Young's :"Ave Regina Ceolorum". "This disc has been a long-time coming" said Dominic upon it's digital release... "I am so excited to put this phenomenal choir's unique sounds on disc and really hope that listeners enjoy their versatilty and breadth of repertoire. 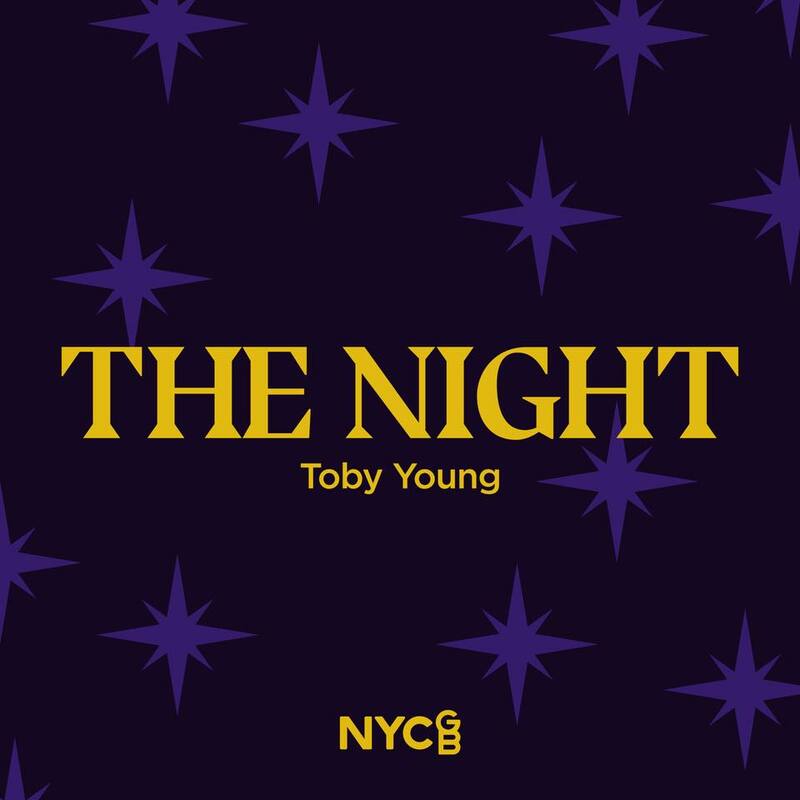 I'm particularly thrilled to be able to record Toby Young's amazing music so that the world can be introduced to this astounding young composer". Dominic's new album is available now on Spotify and from the London Oriana Choir website. This December sees the launch of Dominic's first ever book through Bloomsbury Publishing. 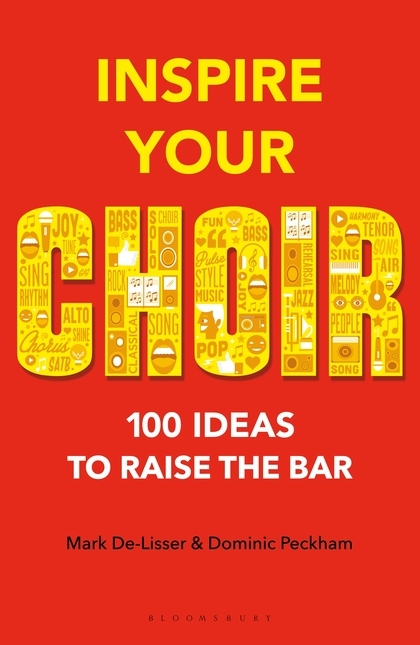 "Inspire Your Choir : 100 Ideas To Raise The Bar" joins Dominic with world renown vocal coach, arranger and fellow mentor on BBC's "The Naked Choir" - Mark De Lisser. With innovative ideas, advice, tips and support for choral leaders of all levels, the book is already receiving critical buzz and a wave of pre-orders from across the globe and will receive it's official launch at The London A Cappella Festival 2016. Dominic and Mark will lead a special workshop and masterclass as part of the laucch and be on hand to sign copies of their book. In a continuation of his commitment to new music and pioneering premiers over the last two years, this December Dominic conducted the world premier of David Earl's 'Strange Ghost'. The performances took place at the iconic and hidden Cambridge Festival Theatre dating back to 1814 and forms part of a series of anniversaries of both venue, and the central character of the opera - Rupert Brooke. The opera, with libretto by Juliet Jenkin was developed from a song cycle and is designed to commemorate Brooke's centenary this year and consists of ten key scenes from his life. Speaking at the derss rehearsal, Dominic spoke of his adulation for the composer and cast... "I'm truly honoured to be a the helm of such an ground-breaking new opera and was thrilled to be invited by David Earl. This incredible cast has brought to life a remarkable story and I know this this will be the first of many performances of this heartfelt and rich score." After months of secrecy, the news is out! Dominic spent most of June this year filming with Choirmaster Gareth Malone and TwentyTwenty Television for a brand new BBC series celebrating all things a cappella. 'The Naked Choir' begins this Tuesday on BBC2 at 9pm and follows the journey of an array of contrasting vocal groups from across the UK as they compete to be crowned the most entertaining a cappella group. Dominic was invited to be Lead Mentor for the TV show and takes a very personal one-on-one role as he develops the different groups throughout the competition alongside a team of leading music figures: Mark De Lisser , Leontine Hass , Katherine Gant, Jason Pennycooke and Ballzee. "It was an absolute thrill to be involved in mentoring these amazing groups" said Dominic during a recent interview about the show. "These groupd are all so dedicated and talented and its been wonderful to see them grow collectiuvely and as individuals throughout this unique process" . 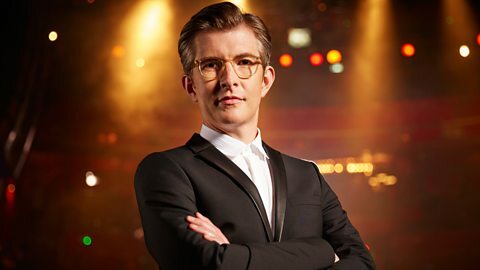 The Nakes Choir with Gareth Malone starts Tuesday 22nd September at 9pm on BBC2. 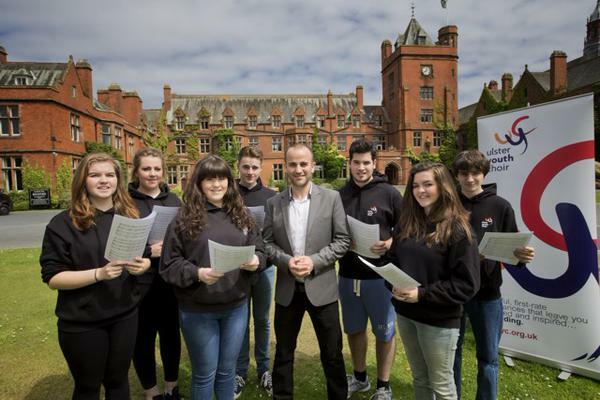 In his recently appointed role as Artistic Director of Ulster Youth Choir, Dominic joined forces the BBC Proms Youth Choir in a special performance of Elgar's 'Dream of Gerontius' conducted by Sir Simon Rattle with The Vienna Philharmonic Orchestra as the penultimate performance in this year's BBC Proms at The Royal Albert Hall. This unique collaboration with Rattle and the Vienna Philharmonic was the fastest selling event of the entire Proms' season and is being broadcast live on BBC Radio 3, with subsequent performances at Birmingham Symphony Hall and The 2015 Lucerne Festival. "The was one of the most aniticipated events in the UK's concert calendar this year and I am delighted to be involved aloing with so many other brilliant young choirs and such illustrious soloists"... said Dominic at the first full rehearsal with Simon Halsey (BBC Proms Youth Choir Director) ... "UYC are so honoured to be part of these performances and I know the experience will stay with them and the audiences for years to come"
The Ulster Youth Choir is delighted to announce that Dominic Peckham has been appointed as our new Artistic Director. Dominic has directed the Ulster Youth Training Choir for over eight years and is renowned for his huge energy and passion for youth choral music. He also holds an impressive array of posts including Artistic Director of the Royal Opera House’s ‘RM19’ Youth Chorus, Assistant Music Director of the National Youth Choirs of Great Britain, Artistic Director and Founder of iSingUK, Artistic Director of the Fourth Choir, Visiting Lecturer at the University of Oxford and Guest Conductor for Aldeburgh Music as well as Musical Director at the London Oriana Choir. 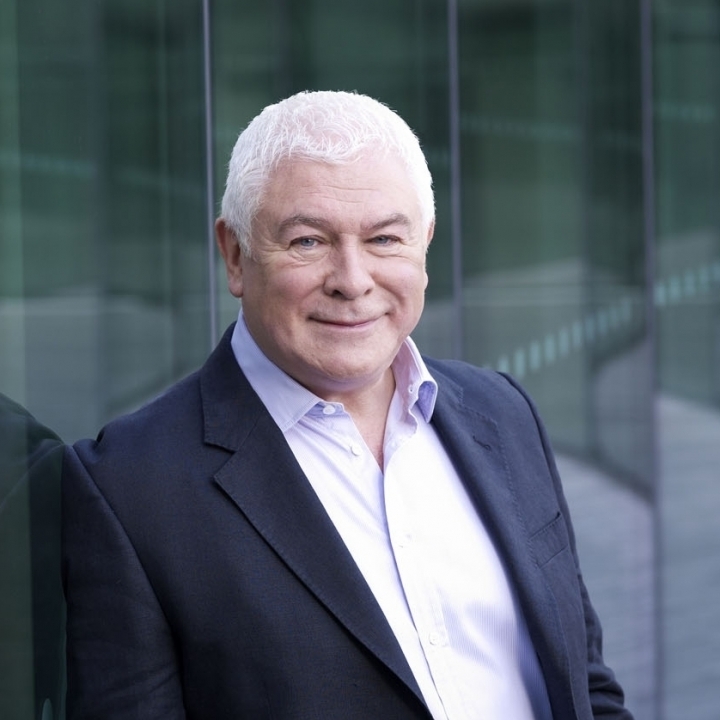 Speaking of his appointment Dominic Peckham said: "I am thrilled and deeply honoured to be appointed as Artistic Director of Ulster Youth Choir. I am so very excited to be responsible for the direction, innovation and development of such a cherished and renown organisation. Furthermore I am humbled to be tasked with inspiring and connecting with young singers from across Northern Ireland, whilst nurturing the choirs towards new and exciting performance opportunities and collaborations, both at home and abroad." 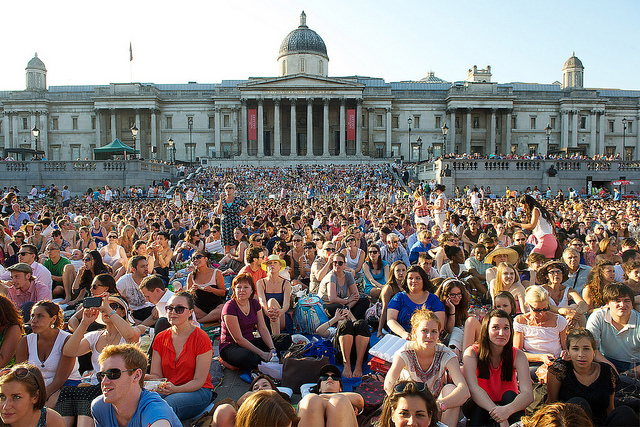 This Summer Dominic returns as TV Presenter for The Royal Opera House BP Big Screen season and will be broadcasting live across the UK to Big Screens and across the world online and live to cinema. 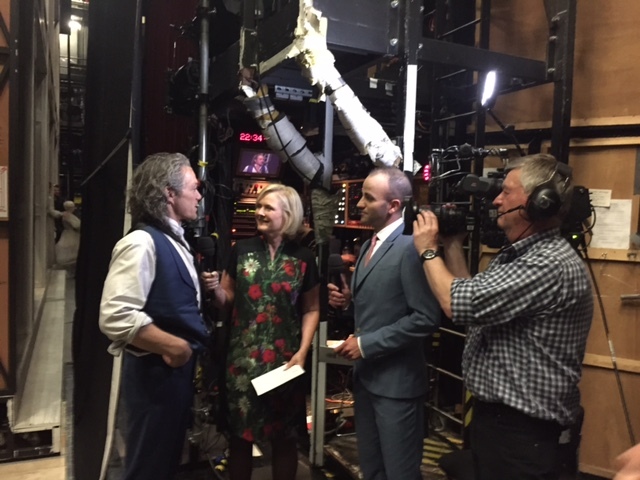 These incredible broadcasts reach over 1million viewers across the world and are part of the The Royal Opera's comitment to free expereinces for audiences throughout their season. 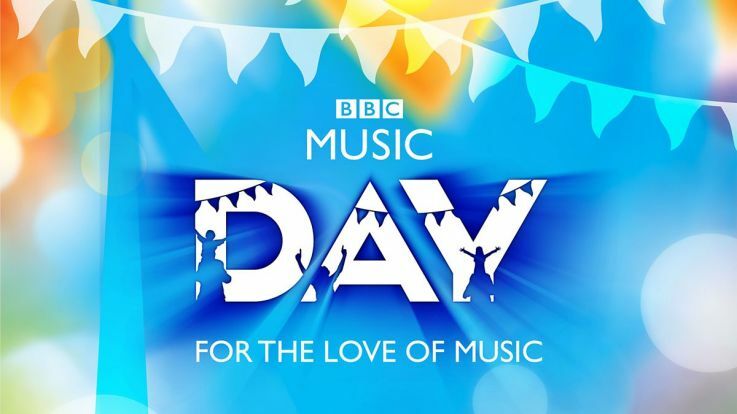 Dominic will be joined by fellow presenters Kirsty Walk and Martha Kearney for thesde special events and will also be leading the nation a Royal Opera Sing-A-Long during the interveal of the performances. 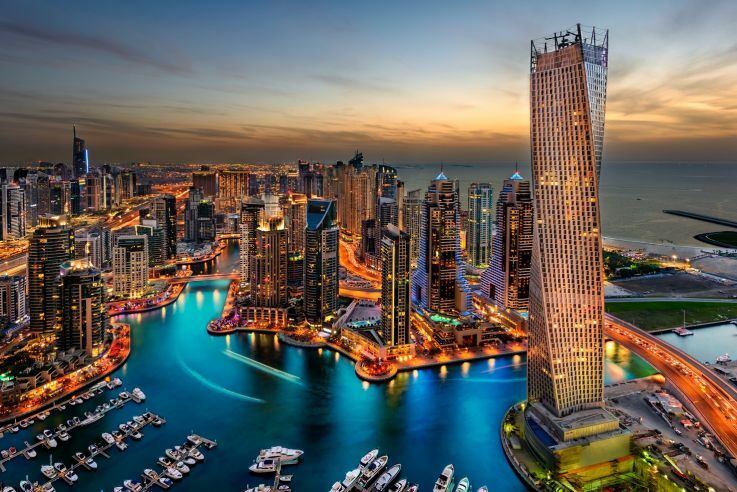 As part of the choral celebrations and opening of the new performance centre at The Dubai Centre for Musical Arts, Dominic has been invited to conduct a special performance of Antonio Vivaldi's 'Gloria'. As part of his visit, Dominic will also be working with young singers from across the Dubai and beyond and performing some of his own specially arranged pieces to an invited audience. Dominic welcomed in the Spring season in style across London with his critically acclaimed ensemble The Fourth Choir through March. Committed to alternative venues and innovative collaborations, The Fourth Choir began their Spring concert season with a special performance for supporters and friends of the choir at at the headquarters of Berwin Leighton & Paisner, before heading to more historical settings the following week. Chosen as a location for Downtown Abbey's filmset, the stunning Great Hall at Two Temple Place was the setting for the second performance as part of The Bulldog Trust's 'Cotton to Gold' exhibition where audiences were treated to Shakespeare settings of Vaughan-Williams, Britten's 'Five Flower Songs' and an array of folk song arrangements from the Scotland by Sir Hugh Roberton. .... and then finally to the North - where the choir performed an electrifying recital in aid of the Haringay Migrant Support Centre in the mesmeric surroingins of St Mary's, Stoke Newington. The Choir now looks forward a collaboration with The Meridian Sinfonia and guests soloists for a concert entitle 'Baroque Summer Soltice' at St Peter's Eaton Square; Vivaldi's 'Gloria' and music from Bach, Palestrina, Schutz, Tallis and the UK premier of Antonio Maria Abbatini's "Apparuit Deus Moysi" never performed outside of the Vatican. The cooncert will also fearture the world premier of 'Thy Eyes Are Sparks' the latest comission from Composer in Residence - Alexander Campkin, a poigniant a daring Epigram by Greek philsopher - Strato. Dominic has just returned from a trip to Salt Lake City, USA where he was conducting and attending the 2015 American Choral Directors Association Conference. In collaboration with Ben Parry and The National Youth Chamber Choir of Great Britain, Dominic led a special reading session for delegates in association with Edition Peters in order to introducing them to a groundbreaking new collection of music from China. Edited and compiled by John Winzenburg, 'Half Moon Rising' is a unique publication of traditional folksongs and dialects from China and Tawain made accessible to non-Chinese speaking singers. The anthology was showcased and presented by Dominic and NYCGB as part of the ACDA and preceeded by a UK performance in Suffolk prior to the US trip. "It's such an incredible collection of music and entralling for audiences across the world" says Dominic when introducing his session to the ACDA Conference. Further to the success of the conference, Dominic and NYCGB Director - Ben Parry will be recording the complete anthology later this year. 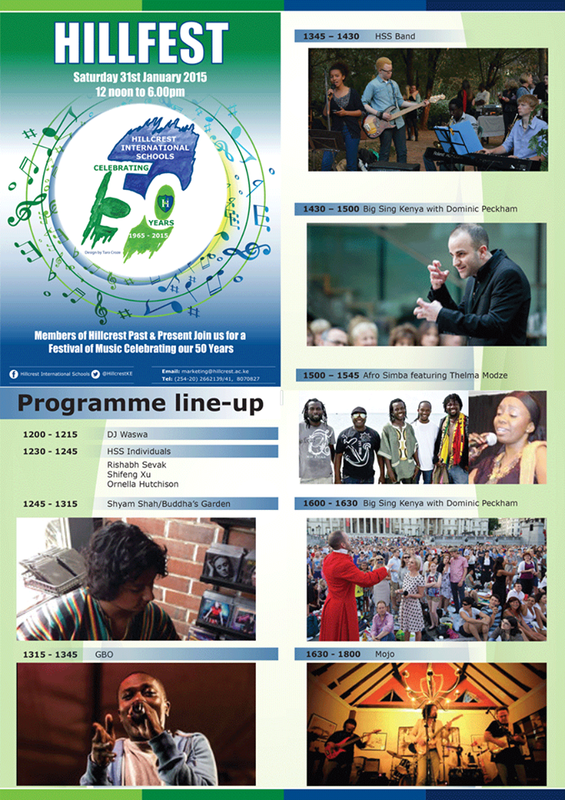 Dominic recently travelled to Nairobi, Kenya to host and conduct 'Big Sing Kenya' as part of HillFest - a celebration of 50 Years of Hillcrest International School hosted by Christopher Wheeler. Dominic plans to return in August this year to work with more people throughout Nairobi and to discuss the inaugural National Youth Choir of Kenya for 2016! "My visit to Kenya was truly life-changing" said Dominic upon his return.. "the people are so welcoming, talented and generous and the country and atmosphere is unique, beautiful and unforgettable. I cannot wait to get back!!" To commemorate Mothering Sunday, Dominic will be conducting a world premier by British composer - Toby Young in the renwon 'Actors Church' - St Paul's Covent Garden. 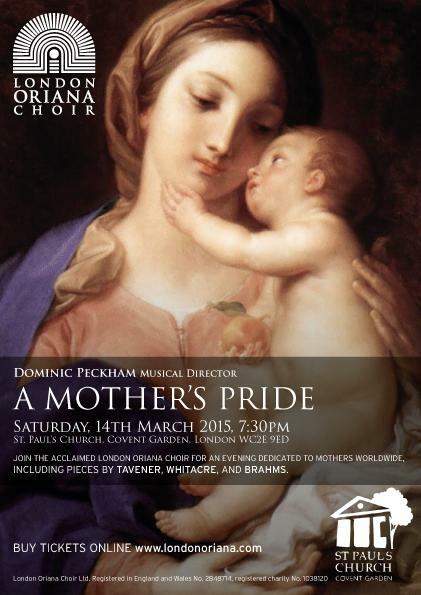 The critically acclaimed London Oriana Choir and Dominic will be performing repertoire dedicated to the Holy Mother from across the centuries and spanning composers from all corners of the globe. From the iconic sacred sounds of Tavener's 'Hymn to the Mother of God', to the lesser known Lukasweski's 'Ave Maria' and the choral masterpiece for upper voices - Holst's 'Ave Maria' (dedicated to his own Mother). Dominic spoke of his joy at returning to St Paul's... "I am very much looking forward to returning to Covent Garden for this special concert, and particularly excited to perform the world premier by our composer in residence - Toby Young. This will mark the end of our three commissions from Toby, but very much the beginning for this outstanding musician." 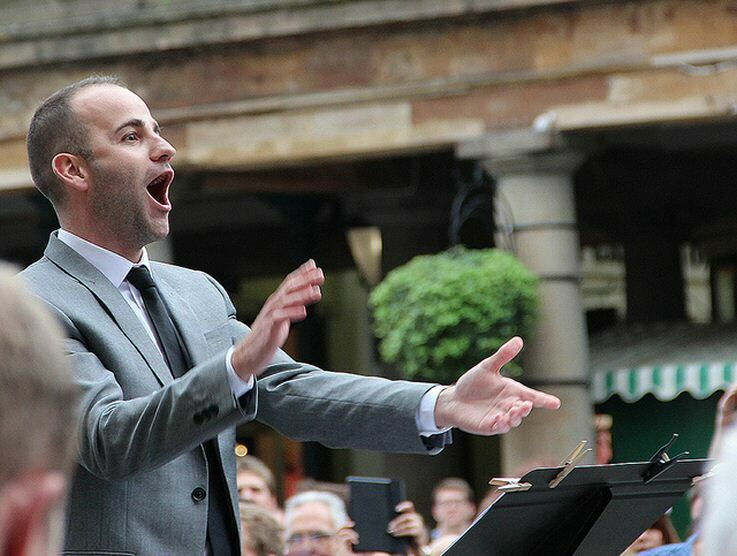 Dominic took his collaborations and large-scale events to new heights this September with 1000 voices in the piazza of Covent Garden for The Royal Opera House. As Musical Director of ‘The Festival of Voices’ – part of The 2013 Deloitte Ignite Festival curated by Stephen Fry, Dominic was charged with directing a whole day of workshops celebrating the work of Giuseppe Verdi for invited choirs and members of the public. 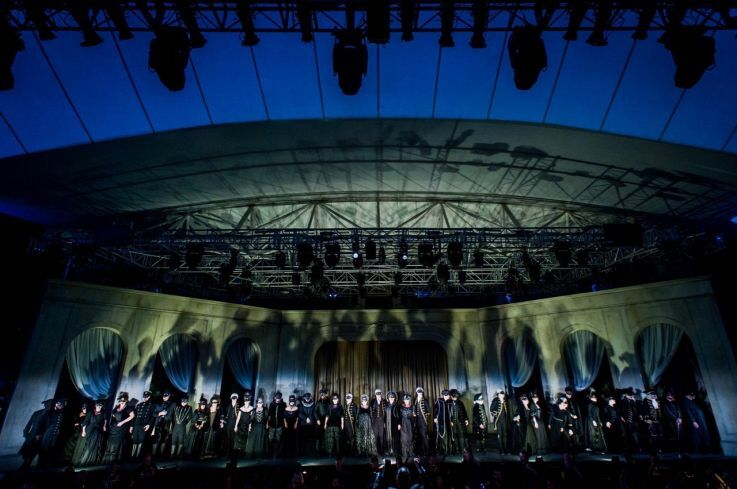 In an event which took over 6 months of planning, Dominic then took the helm of the massed group of singers, the BBC Concert Orchestra Brass Ensemble and The BBC Symphony Chorus and flashmobbed a Sunday afternoon audience in the piazza with a rousing and unforgettable performance of Verdi’s ‘Va Pensiero’ – The Chorus of The Hebrew Slaves from ‘Nabucco’. 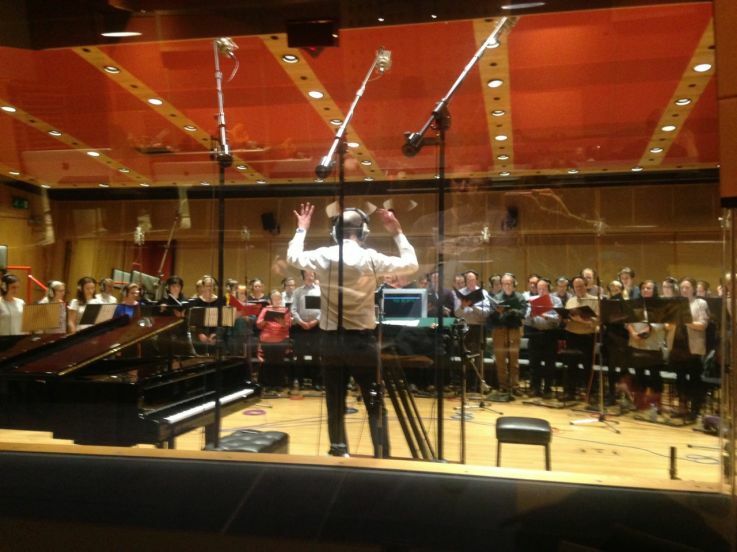 The event was a huge success and was broadcast on BBC Radio 3’s ‘The Choir’. You can watch Dominic’s interview and a special filming of this ground-breaking project. Find more information and reaction on the event on the Covent Garden website. 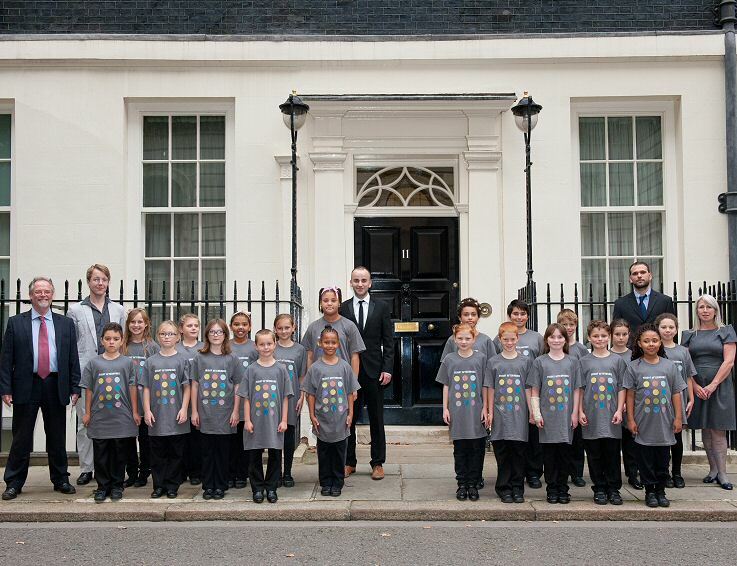 The international singing project for young people across four continents – ‘Friday Afternoons’ to mark the centenary of composer Benjamin Britten, was celebrated on 8th October 2013 at No.11 Downing Street. Throughout the year, Dominic has been presenting and directing a series of National events for Aldeburgh Music as part of their centenary celebrations and was invited to conduct and arrange a special performance for an audience of honoured guests, MPs, composers and leading musical figures. "The take-up of Friday Afternoons has amazed everyone involved in the project. It started as an East Anglian initiative, then through a fantastic group of arts and education partners spread to all parts of the UK, and now there will be young people singing in many different countries across nine time zones. It’s remarkable that a project born in Britten’s home town of Aldeburgh, with its population of 2,500, now looks set to inspire over 100,000 children across the world." Find out more about the Friday Afternoon’s project and Dominic’s further involvement.